A man, aged in his mid 20s, suffered apparent stab wounds during the incident. 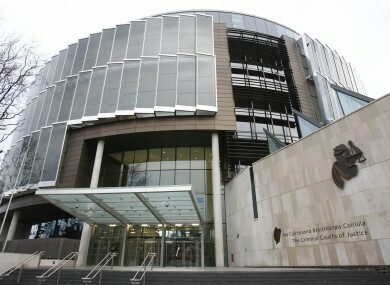 A 21-YEAR-OLD man is due to appear in court this afternoon in connection with a serious assault in Birr, Co Offaly yesterday. He will appear before the Criminal Courts of Justice at 2pm. The assault happened at McAuley Drive in Birr shortly after 1am yesterday morning. A man, aged in his mid 20s, suffered apparent stab wounds during the incident. He was taken to Midland Regional Hospital in Tullamore, where his condition is described as critical. Gardaí have appealed for witnesses and anyone with information, particularly those who reside at or were in the McAuley Drive, Townsend Street, New Road and Pound Street areas between 12.30am and 1.30am yesterday morning, to contact them at Birr Garda station on 057 916 9710, the Garda Confidential Line on 1800 666111 or any garda station. Email “Man (21) to appear in court over serious assault in Offaly ”. Feedback on “Man (21) to appear in court over serious assault in Offaly ”.